Golden Bloom was fund at 2001 March 26 in China. 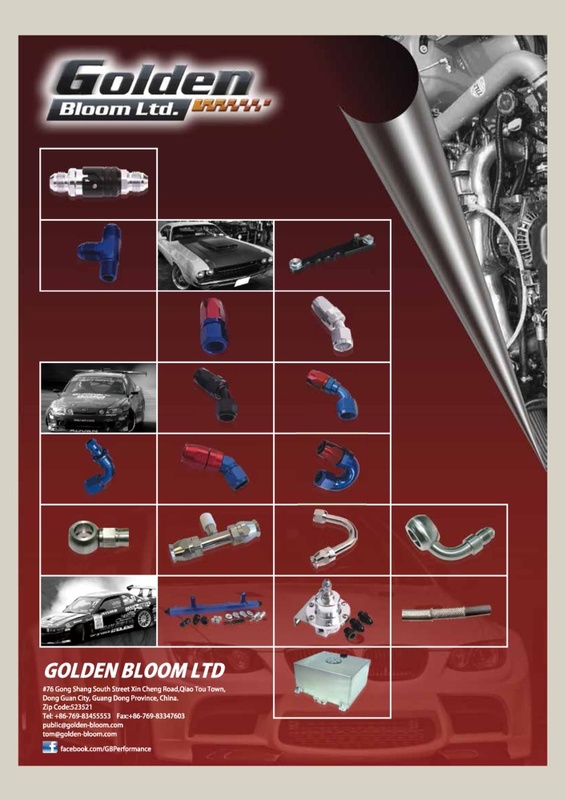 It is a ISO 9001 certified company that produce all the products for Automotive aftermarket accessories and Race car industrial from Aerospace light weight fittings and hoses plus all the race car quick shifters. 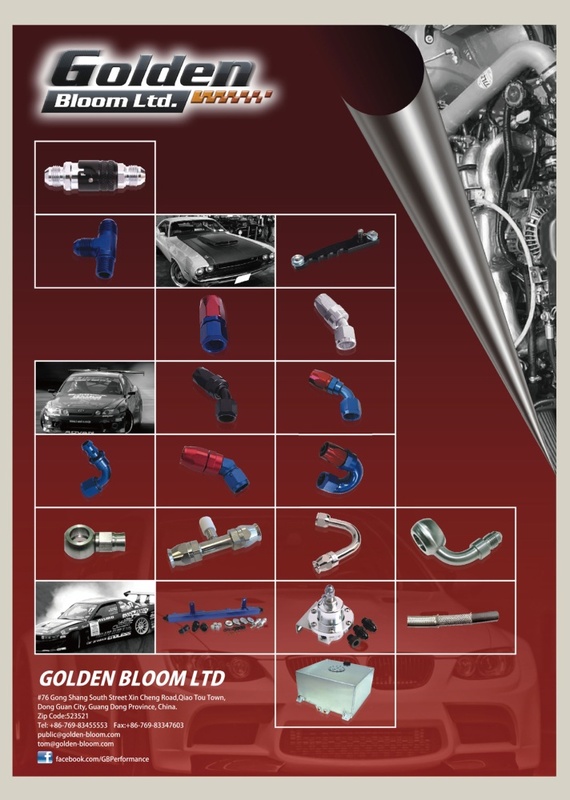 Golden Bloom has the capacity for all the new products develop and engineer for all the re-designed modify products. It is really a purely high performance products maker that serve for USA and other countries from Taiwan till in China for over than 20 years of experience that make sure it will happen for all the customers.